Source International is conscious of the role our company can play in contributing to the wellness of our environment. From components to manufacturing processes to distribution we continue to research the most environmentally sound practices to minimize our impact on our shared landscape. Using components and manufacturing processes reflecting best practices for sustainability is a requirement for current products and all future introductions. Source International chairs are certified by the GREENGUARD Environmental Institute. Our products meet stringent chemical emission requirements such as being screened for more than 10,000 Volatile Organic Compounds (VOC’s). This GREENGUARD certification is reviewed annually. Indoor air quality is critical for human health, and the GREENGUARD Environmental Institute has established a rigorous testing and certification program to identify products that meet their criteria for indoor air quality. 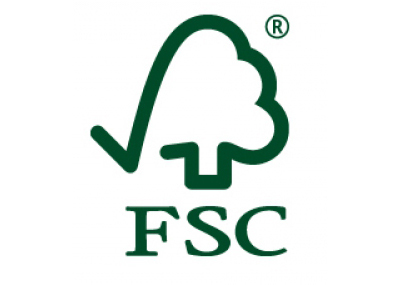 Our wood components are FSC certified by the Forest Stewardship Council Chain of custody and controlled wood. FSC certification ensures that products come from responsibly managed forests that provide environmental, social and economic benefits. Our water based wood stains and paints are free of all VOC emissions and are applied in a modern factory environment that keeps the air clear. Any overspray is recycled. The foam used in Source International chairs is CertiPUR-US certified foam. These foams are low emission for indoor air quality and made without many harmful chemicals such as PBDE flame retardants, formaldehyde, or phthalates. Our foam is independently tested for compliance annually. We offer hundreds of recycled fabric through our fabric partners. Our partnerships include the leading contract fabric companies who each offer multiple recycled upholstery options. Recycling of cartoning materials, papers, metal and other materials is done on the factory floor as well as in the offices. Our products can all be recycled post use. Shrewsbury, Massachusetts is within 500 miles of 25% of the American population. This proximity reduces significantly the carbon emission associated with commercial transportation. Our products are designed for durability and manufactured to meet our lifetime structural warranty. This insures a lifetime of use to our customers and minimizes the burden on landfills. Most parts can be recycled post use to then continue their existence as another product.